Are you a designer or artist who is ready to…. get some real traction in your business? create a product that will sell like hotcakes? have the confidence to talk about your work in a way that gets people excited? bring in some money ASAP? For a limited time I am offering 1:1 coaching for creatives who are ready to see real traction in their business and have people lining up to buy their products. 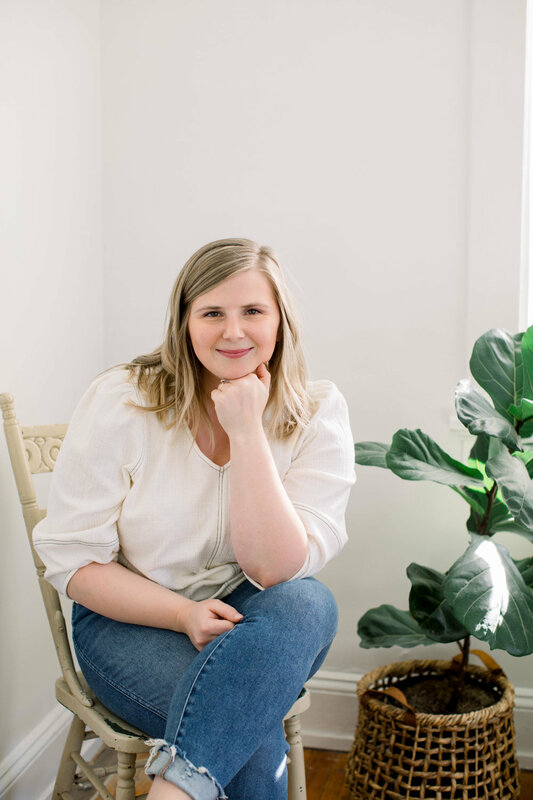 Caroline Van Natta is a coach and artist who works with artists wanting to step out of their bubbles and create a business around their life and work. Her most recent work has been featured in blogs such as SFGirl by Bay and Oh Joy!. Caroline empowers everyday artists and designers to find that unicorn product that will sell like hotcakes so they can start making money ASAP. She believes one of the bravest things you can do is start your own creative business and share yourself through it. Caroline has spent the past 10 years as a textile designer with her work sold in most major retailers like Target, Kohl’s, Home Depot and Bed Bath and Beyond. Born, raised and now living in Richmond, Va, she and her husband are raising their daughter and two German Shepherd Dogs in a fixer upper in the city. One the weekends, you can catch her talking about french pastries, her latest fiction read or trying to guess your Enneagram number.